Every week we organise a group walk to raise money for charity. 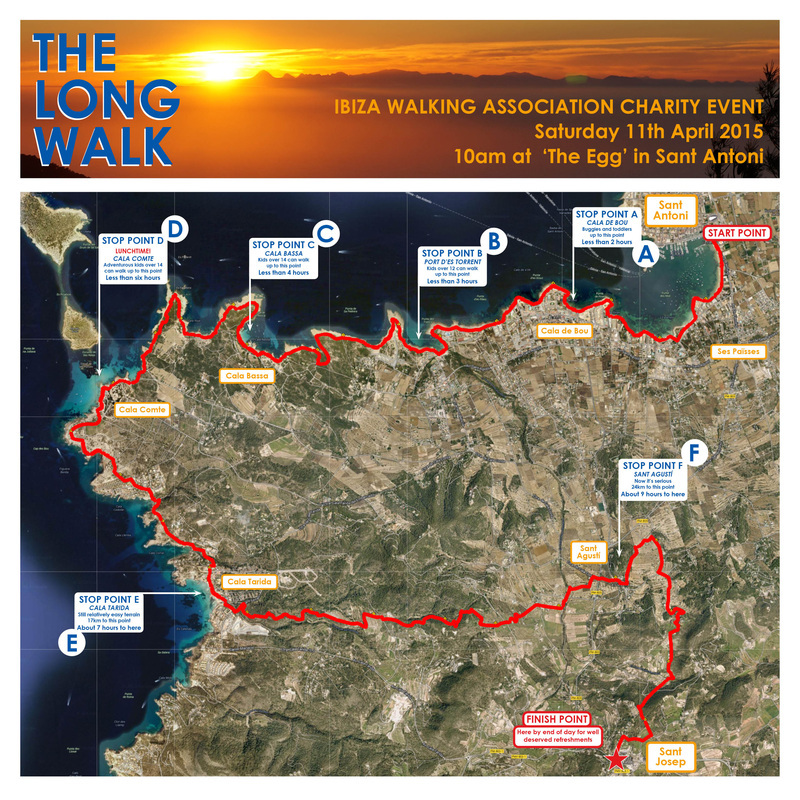 The walk costs €5 and all of the money goes directly to the charity we have chosen for that week. The dates, times and meeting points of the Sunday walks are posted on our Facebook page as events a few days before the walk. (You will be able to access the page even if you are not a member of Facebook. The Long Walk this year is on the Saturday 11th April. The route follows the coastline from Sant Antoni to Cala Comte - this is an easy section that is suitable for kids and people who are less mobile. After a well deserved picnic on the beach, things will get a little more serious as we carry on along the coast to Cala Tarida before heading inland over the hills. Passing through Sant Agusti for a quick pitstop along the way, we will finally arrive at Sant Josep, completing over 30km of walking. The full event details are HERE on our dedicated website or HERE on Facebook.